Our extensive experience, network and expertise enable us to find the most attractive opportunities and then unlock significant value over the life of each investment. Founded in 1974, Shoe Sensation is a leading branded footwear retailer that operates a 65-store chain in small towns in eleven Midwest and Mid-Atlantic states. Shoe Sensation was purchased from Acton Enterprises, a privately held company in December 2007. CGP partnered with Palisade Capital Management on the transaction. The owner/founder of Acton Enterprises had expanded into several other businesses over the years and was interested in selling Shoe Sensation in order to focus on these other businesses. The founder was acting as CEO of the Company, but had added a strong President in charge of day-to-day operations several years ago. CGP assessed the opportunity, developed the investment rationale, partnered with an institutional private equity investor and recruited a seasoned industry executive to become CEO of the Company. This executive Tom Slover was previously President of Foot Locker Europe and had the merchant and operational skills necessary to effectively grow the Company. CGP is actively involved in assisting management to implement best practices throughout the organization and to execute the long-term strategic plan. Richard Baum serves as a Board Observer and Executive Committee member. In July 2009, Consumer Growth Partners assembled an investor syndicate that included Banyan Mezzanine Funds, CapSources Funds, Diamond State Ventures and Mid States Capital to purchase Baskins from Transition Capital Partners, a private equity firm based in Dallas, TX. At that time, Baskins was a leading retail chain of Western, Work and Weekend Wear in East Texas. The company, headquartered in Livingston, TX, was founded in 1972 by the Baskin family and operated 17 stores in small towns across East Texas. The Company’s merchandise selection was broad, offering nationally recognized name-brand apparel, footwear, accessories, gifts and home decor products to value-minded working families in smaller towns. CGP believed that Baskins could develop a store model focused primarily on Western Wear that could expand rapidly through smaller working class towns on the Gulf Coast. The Company had already shown an ability to compete effectively against strong Western Wear retailers in these towns. CGP recruited a seasoned industry executive, Jack Gunion, to become CEO of the Company. Jack joined Bryan Baskin and Martin Sobol on the Baskins management team. Bryan had been serving as President of the Company, and he understood the Baskins customer and types of towns that would work for a Baskins Store. Martin brought financial sophistication and the ability to add metrics necessary to improve and monitor performance. Collectively this team improved performance of the existing stores, built a replicable model store and established the operational infrastructure necessary to expand the chain. Over a four-year period, the Company successfully grew from a 17-store rural general merchandise chain into a 30-store Western Wear chain by expanding rapidly throughout Texas and Louisiana. In May 2013 the Company was sold to Boot Barn. At the time of the transaction, the combined entities became the largest Western Wear retailer in the US with stores located across the country. VIOlife, LLC is a manufacturer and distributor of fashionable, functional and affordable oral and personal care products and accessories. Founded in 2004 and based in Yonkers, NY, the Company’s products are available in many specialty stores, mass merchants and drug stores as well as on-line, TV and catalogs. In addition to Consumer Growth Partners, the investor and lending group includes Banyan Mezzanine Funds, Diamond State Ventures and Siena Lending Group LLC. Current members of management will continue to operate and grow the Company. The Company and CGP believe that a significant growth opportunity exists to expand the VIO brand across multiple consumer product categories and to build a lasting consumer brand. The transaction will allow the Company to drive product expansion within VIOlife’s current product line, enable the introduction of new product categories and concurrently accelerate expansion of distribution to additional key customers.CGP assessed the opportunity, developed the investment rationale and partnered with a group of institutional private equity investors who could immediately add value to the Company. The combination of a proven management team, innovative product portfolio, strategic retail relationships and domain expertise make this an exciting growth opportunity. Richard Baum is a Board Observer for the Company. CGP actively supports the senior executive team in key areas of marketing, operations, distribution and finance to implement best practices throughout the organization and to assist in the execution of the long-term strategic plan. I.O. Metro, LLC is a lifestyle specialty retailer that sells innovatively designed and reasonably priced modern and eclectic furniture, home furnishings, wall art and accessories. I.O. Metro was founded in 2005 and has grown consistently, including during the recent recession. The Company is headquartered in Lowell, AR and currently operates 18 stores across eight states in the South and Midwest regions of the U.S. Consumer Growth Partners assembled an investor group that includes Banyan Mezzanine Funds and Diamond State Ventures to purchase the Company and to provide the management team with the resources and professional network necessary to fully realize the company’s potential. The Company has been successful in positioning I.O. Metro as a category leader in a relatively short period of time. During 2010, the Company strengthened its infrastructure and prepared for its long-term expansion plan by recruiting two seasoned professionals into the positions of CFO and EVP-Merchandising. With the retail concept proven and management team in place, the founders sought to partner with a firm that had the sector expertise to assist the Company achieve its long-term objectives. CGP assessed the opportunity, developed the investment rationale and partnered with a group of institutional private equity investors who could immediately add value to the Company. The combination of a proven home furniture and accessories retail concept, superior supply chain, talented management and investors with sector expertise make this an exciting growth opportunity. CGP actively supports the senior executive team in key areas of marketing, operations, real estate and finance to implement best practices throughout the organization and to execute the long-term strategic plan. Wild Things Gear, a designer and manufacturer of high-end technical mountain climbing apparel and gear, was founded in 1981 in North Conway, NH by world-class Alpine climber Marie Meunier. In July 2008, The Walnut Group in partnership with Consumer Growth Partners purchased a controlling share of the Company, enabling Wild Things to expand the brand and deliver on the promise of making gear for the most demanding conditions on earth. Today Wild Things is internationally recognized for its quality gear for outdoor enthusiasts as well as being a proud supplier to the U.S. Armed Forces and many law enforcement groups. Wild Things manufactures all its products in the U.S. and offers product online and via select retailers. CGP entered into the transaction to help the founder/owner leverage the Company’s 25-year+ reputation and credibility as a trusted designer of the world’s highest quality mountaineering gear into an elite consumer brand over the next five years. CGP partnered with an institutional private equity investor and subsequently identified and recruited senior management team members in the areas of finance, sales and marketing. CGP continues to assist management in all aspects of the business and is particularly focused with Marie and the management team on building a successful multi-channel consumer brand. Bill Reisler is a Director of the Company. B Cellars is a boutique winery that primarily produces and markets four wine blends from the finest fruit in Napa Valley. The collaboration between Jim Borsack and Duffy Keys, the founders of B Cellars, began as a simple love for food and wine. They added the genius of Kirk Venge, one of the most promising young winemakers in the world. When most people think of a winery, they imagine the traditional single-varietal vineyard and the wine it produces. B Cellars has taken a more innovative approach. They see the entire Napa appellation as their terroir. By selecting the choicest grapes from pedigree vineyards and employing both Old and New World winemaking practices, together with a meticulous blending process, they create wines with exceptional structure and complexity – wines with layers and layers of flavor. B Cellar wines have received continuous accolades since their first release from the 2003 vintage in 2006, including consistent 90+ point ratings from Robert Parker’s Wine Advocate and Wine Enthusiast. Consumer Growth Partners assembled an investor syndicate that includes Grassmere Partners and Global Wine Partners to provide the management team with the resources and professional network necessary to fully realize the company’s potential. 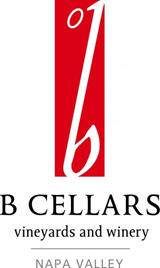 B Cellars was founded in 2002 by Jim Borsack and Duffy Keys, an extremely strong management team with a history of success selling luxury goods and services to discerning customers. CGP has known Duffy Keys for many years and as a result, CGP has followed the progress of the company since inception. B Cellar blend strategy provides the company a variable cost structure that allows management to focus investment resources on selecting and purchasing the highest quality fruit in the Napa Valley region while operating with minimal fixed expenses. The combination of extraordinary management, superior product and an innovative operating structure makes this an exciting and differentiated growth opportunity within a relatively difficult industry category. Bill Reisler is a Director of the Company. CGP actively supports the senior executive team in key areas of marketing, operations and finance to implement best practices throughout the organization and to execute the long-term strategic plan. Harris Originals is a niche jewelry retailer catering to US military enlisted personnel. Founded in 1955, by WWII veteran and Marine, Jerome Harris, and still family-owned, Harris has developed a close relationship with its prime US military customers by providing enlisted military personnel and their families quality jewelry and watches with convenient and reasonable payment terms, while providing exceptional customer service. Located in Hauppauge, NY, Harris operates 23 stores nationwide, conveniently located in malls close to military installations, and also sells merchandise on its website at www.harrisjewelry.com. CGP was introduced to the Company several years ago when the owners were contemplating a sale of the company. Instead, CGP introduced them to an experienced industry executive who was hired as the Company’s first outside CEO. Concurrently, the owners retained CGP to work with them to ensure a smooth transition from a family-led management team to a more professional management team and updated organizational structure. This work has included projects in corporate governance, financial reporting, executive incentive compensation, and strategic growth initiatives. In addition to CGP’s on-going consulting engagement, Richard Baum was invited to join the Board of Directors in 2012. In September 2014, he was elected Chairman of the Board. Peruvian Connection was founded in 1976 by the mother-daughter team of Biddy and Annie Hurlbut. Over the past 30+ years, the Company has become a leading luxury apparel lifestyle brand selling an original collection of garments including one-of-a-kind art knits, luxurious basics, uniquely beautiful dresses and exquisitely tailored outerwear. The collection is sold exclusively through mail order catalogs, the Company’s state-of-the-art web site and a small number of retail outlets. Catalogs are mailed to educated upscale customers in the U.S., United Kingdom and Germany. In July 2008, the Company opened its first full-line retail store in Washington, DC. In September 2008, Annie approached CGP to help her meet short term financial challenges as she continued to build her successful entrepreneurial company into the professionally managed company she envisioned. CGP, along with two members of CGP’s Executive Panel, began working with the Company to focus on a series of near-term initiatives and collectively concluded that Annie could optimize the value of Peruvian Connection by postponing any sale of equity for three to five years. Our team developed detailed long range plans and projections and crafted a partnership to continue to maximize Peruvian Connection’s value over this period. The Company and CGP formed an Executive Committee composed of Annie Hurlbut, Richard Baum, Bill Reisler and two members of the CGP Executive Panel, who combined have more than 40 years of experience in the direct marketing industry. The Executive Committee met weekly with senior management working together for six months to execute best practices. Following this intensive period, Richard Baum and Bill Reisler continued working with senior management to execute a three to five year plan optimizing value. Bill Reisler and Richard Baum served as members of the Company’s Executive Committee for five years. At the end of this period, Peruvian Connection and CGP had attained the majority of their mutual objectives. As a result, Peruvian Connection exercised its redemption option and the partnership was successfully concluded in May of 2014. B Cellars (www.bcellars.com) was founded in 2003 and is a boutique winery that produces and markets high quality varietals and blends utilizing grapes sourced from some of the finest producers in Napa Valley. Based in Oakville, CA, B Cellars’ wines have received numerous accolades since their first release in 2006 and consistently receive 90+ point ratings from Robert Parker and the Wine Enthusiast. The Company sells its wines through its tasting room, distributors and its website. Wild Things Gear (www.wildthingsgear.com) was founded in 1981 in North Conway, NH by world-class Alpine climber Marie Meunier. Headquartered in Newport, RI, the Company is a leading designer and manufacturer of high-end technical mountain climbing apparel and gear. Wild Things is internationally recognized for its quality gear for outdoor enthusiasts as well as being a proud supplier to the U.S. Armed Forces and many law enforcement groups. In March 2018, Consumer Growth Partners and its investors sold the Company to the PE firm, Asgard Partners. I.O. Metro, now Erdos At Home, was founded in 2005 and is a lifestyle retailer that designs and sells innovatively designed and well-priced priced furniture, home furnishings, wall art and accessories. Headquartered in Lowell, AR, the Company operates 12 locations across the Southern and Midwestern regions of the U.S. and also sells its merchandise through its catalogs and website. In 2016, the Company redeemed Consumer Growth Partners’ equity interest. VIOlife (www.violife.com) was founded in 2004 and is a leading developer, marketer and distributor of fashionable, functional and affordable oral and personal care products and accessories. Based in Yonkers, NY, the Company’s products are available in many specialty and department stores as well as on HSN and its own website. In October 2015, the Company redeemed Consumer Growth Partners’ equity interest. Shoe Sensation (www.shoesensation.com) was founded in 1974 and is a leading regional retailer of footwear and accessories. Headquartered outside Louisville, KY, the Company operates stores in small towns in the Midwest and Mid-Atlantic regions. Shoe Sensation sells high quality, well-priced brand-name men’s, women’s, children’s footwear and accessories. In August 2015, CGP and its investors sold the Company to the PE firm JW Childs. Baskins was founded in 1972 by the Baskin family and is a leading regional retail chain of Western, Work and Weekend Wear stores. Headquartered in Houston, TX, Baskins operates stores in small towns across East Texas and Louisiana. Baskins primarily sells name-brand apparel, boots, and accessories to value-oriented working families. In May 2013, CGP and its investors sold the Company to Boot Barn, a portfolio company of PE firm Freeman Spogli. Peruvian Connection (www.peruvianconnection.com) was founded in 1976 by the mother-daughter team of Biddy and Annie Hurlbut and is a leading upscale lifestyle brand selling an original collection of women’s apparel and accessories. Based outside Kansas City, MO, the Company sells its collections through its own catalogs, website and retail outlets in the U.S., U.K. and Germany. In May 2014, the Company exercised its redemption option and purchased Consumer Growth Partners equity interest.